Members of the Social Justice Advocacy Fellowship are posing before an event. The group’s goal is to teach practical skills to actively engage in social justice advocacy, founder and Communication senior Matt Fulle said. The Social Justice Advocacy Fellowship seeks to shift the mentality of activism and teach students practical skills to engage in social justice advocacy. 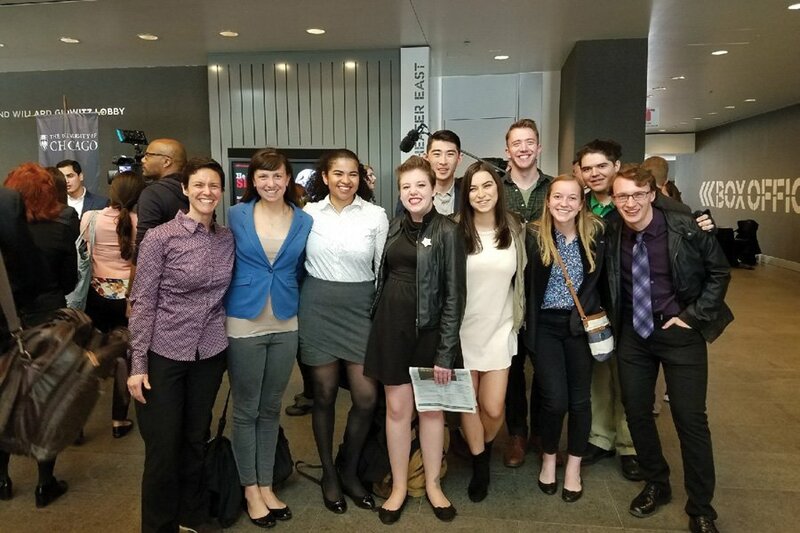 The fellowship, founded this year by Communication senior Matt Fulle in coordination with Director of Leadership and Community Engagement Kelly Benkert, teaches students advocacy skills and connects them with local community organizations. Students met once a week during Winter and Spring Quarters as part of a new program sponsored by the Leadership and Community Engagement department. The program received more applications than expected partly because it began recruitment the day after the 2016 presidential election, Fulle said. Despite the politically active environment, some people think activism is something others “jump into” rather than something they can learn, he said. The fellowship tries to change this mentality, Fulle said. Fulle said the fellowship will teach skills students can use to advocate for social justice issues. Benkert said some of these skills include coalition building, lobbying and working with the media. The main goal of the organization is to help students apply these skills in partnerships with advocacy groups, she said. The skills, Benkert said, are part of a curriculum she used during her time at Seattle University and adapted as an advocacy organizer. Weinberg junior Amelia Brown said she joined the fellowship to develop the skills to achieve her advocacy goals. Brown said she wanted to take her activism to the “next level” because protesting does not always achieve a resolution concerning social justice issues. Though Brown has attended protests on campus and in Chicago, forming relationships with University officials to discuss contested policies is “key” for activism, she said. Brown’s current project is to interview and publish opinions of people who have a stake in Chicago Public Schools, such as students, parents and superintendents, through Education Post, a nonprofit that seeks to “elevate authentic voices” in an effort to reform education. Other advocacy projects include increasing access to health care for immigrants, passing a bill through the Illinois House to make feminine hygiene products in public K-12 schools free and working on issues of affordable housing in Evanston, Benkert said. In planning for next year, Fulle said he expects the basic structure and timeline for the fellowship to remain the same, though he said there may be an increase in funding. The program currently runs with no funding from the University, but this hasn’t impacted its ability to bring in speakers or connect students with community groups, Fulle said. Despite the lack of funding, Benkert said the fellowship has fulfilled her department’s mission of leadership and community engagement. “The skills the students are learning through this experience and the kind of thinking that they’re learning to do are the kinds of thinking and activities that they need to engage in leadership throughout the rest of their lives,” Benkert said.